Kitchener Stitch is a great technique that comes in handy for grafting armholes, and when you want to create the look of an invisible seam. 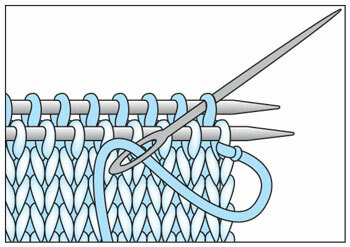 Insert the tapestry needle into the first stitch on the front knitting needle as if to purl. 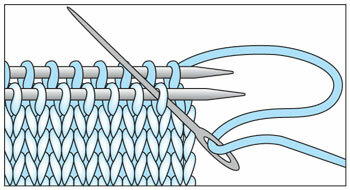 Draw the yarn through the stitch, leaving the stitch on the knitting needle. Insert the tapestry needle into the first stitch on the back needle as if to purl. Slip the stitch off the knitting needle. Insert the tapestry needle into the next stitch on the back knitting needle as if to knit, leaving the stitch on the knitting needle; pull the yarn through. 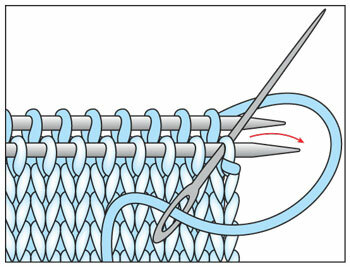 Insert the tapestry needle into the first stitch on the front knitting needle as if to knit, and then slip the stitch off the knitting needle. Insert the tapestry needle into the next stitch on the front needle as if to purl, leaving the stitch on the needle. Pull the yarn through. 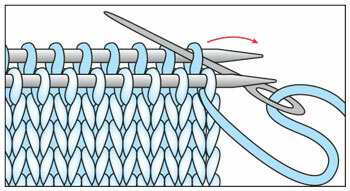 For more tips like this, click here or visit AnniesCatalog.com to view our Stitch Guide. I’m new-ish to making socks and, this is a wonderful stitch for closing the toe of socks.